When a city experiences a massive crisis, it must find a way to restore its tourism. All cities rely on tourism – it is often one of the top revenue-generating industries and employs one of the biggest workforces. On Sunday, October 1st, 2017, a gunman sprayed bullets into a crowd of concert-goers in Las Vegas. 58 people were killed. 851 were injured. All but six of the dead were tourists. 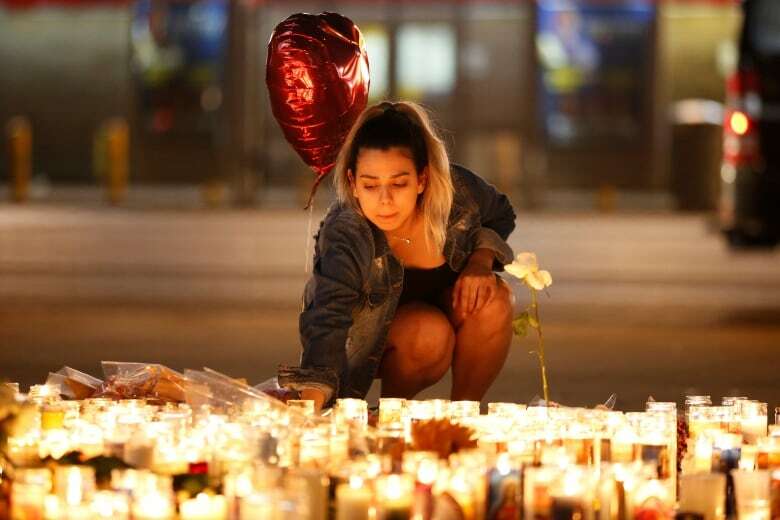 It was the deadliest mass shooting by an individual in modern U.S. history. Cathy Tull - the Chief Marketing Officer for the Las Vegas Convention and Visitors Authority - wasn't in Las Vegas that night. She was in Italy celebrating her 50th birthday. She got the call about the shooting around 6a.m. Italy time. It was hard to absorb the news - but she had to make some quick decisions. First - within 45 minutes of the shooting, all Las Vegas advertising was pulled. An astounding feat considering how far and wide Las Vegas advertises. There was a reason that could happen so quickly. In a complete fluke of timing, Cathy Tull had completely updated the Las Vegas crisis communication protocol - just the week before. She did it simply because it hadn't been updated in years. That utter twist of fate allowed her team to spring into action. Tull flew back to Las Vegas immediately. She convened her team to discuss their communication strategy. Second on the Las Vegas crisis communication list was that the right tone had to be struck. So Tull's team listened intently – taking their cues from the public. The #VegasStrong hashtag was entirely community-driven. 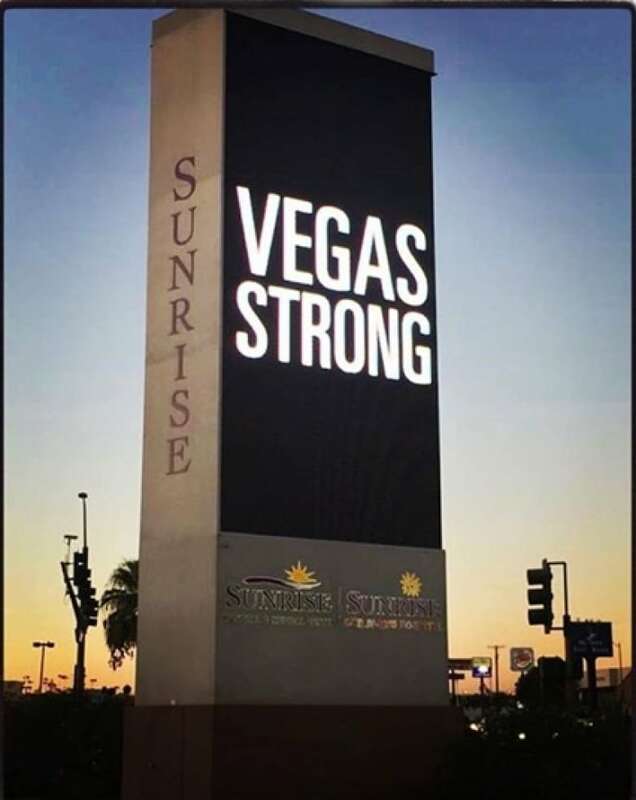 (Hector Torres Photography/Submitted by Sunrise Hospital) Almost immediately, a community-driven sentiment appeared on social media: #VegasStrong. For any city, tourism is critical for the health of its economy. For many, tourism is the 2nd or 3rd most important revenue generator. For Las Vegas, it was number one. 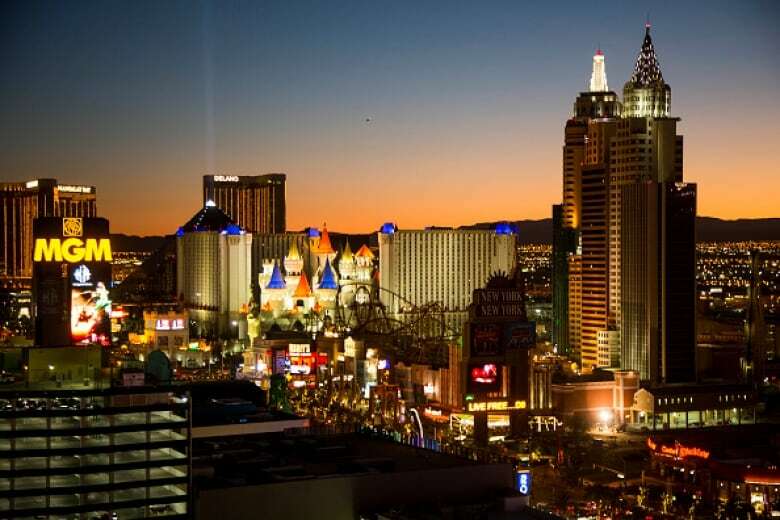 42 million people had visited Las Vegas the previous year. The entire city is supported by tourism. And the rule is – tourists will only go where they feel safe. Suddenly, Las Vegas wasn't safe. The VegasStrong hashtag was gaining momentum. There was a lot of love and support for Las Vegas starting to pour in. So Cathy Tull and her team started posting user-generated messages of support on the city's social media channels. They also determined the city itself needed to hear an emotional message from a trusted voice. With that, Las Vegas instantly received over $3 million in media donations. Tull and her team realized that tourists still wanted to come to Las Vegas - but wanted to be respectful. Billboards were put up with the VegasStrong hashtag, saying "We've been here for you in the good times. Thank you for being there for us now." Cathy Tull's department produced TV commercials starring celebrities welcoming people back to Vegas. In the three weeks after the shooting, bookings to Las Vegas plunged by over 20%. Then the cancellations began to slow down. #VegasStrong was an important rallying cry for the city. But Las Vegas had to be careful its identity didn't become permanently associated with the tragedy. 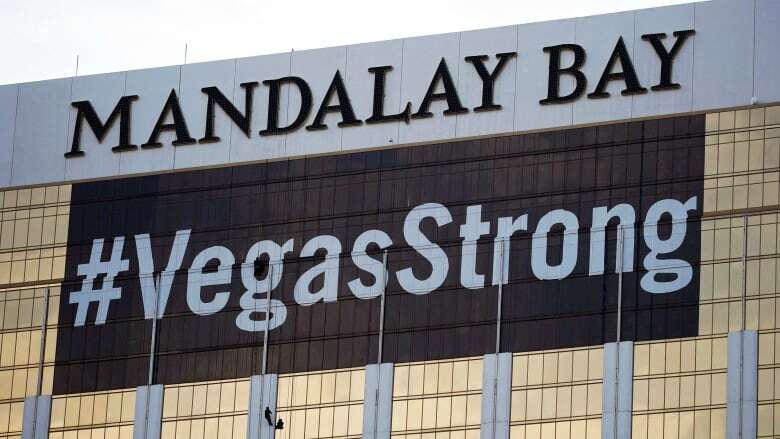 Marquees on the strip turned black for 11 minutes (the length of the shooting) one week following the massacre. (Michael Nagle/Bloomberg via Getty Images) So Cathy Tull did research to see if the "What Happens in Vegas, Stays in Vegas" campaign could return. Research showed that people wanted their Vegas back. Three months after the tragedy, a new "What Happens in Vegas, Stays In Vegas" television commercial was put on the air.= Overseas tourists were the first to come back. Convention traffic wobbled a bit. But tourism to Las Vegas began a steady climb. By March of 2018, visitor volume was only down 1% year over year. It was the second busiest March on record. As Cathy Tull and her team proved, being prepared is half the battle when tragedy hits. When the tragic events of September 11, 2001, unfolded, no one was prepared. New York City is the most visited city in North America. Understandably, tourism plunged after 9/11. In the year 2000, a record setting 37.4 million tourists visited New York, contributing $17 billion to the city. In the first days after 9/11, New York lost $324 million in visitor spending. Broadway lost $5 million in ticket sales that week, and five shows closed. Hotels went from 90% capacity to half empty. Restaurants lost an estimated $6-$10 million a day. When Mayor Rudolph Giuliani was finally able to turn his attention to his city's economy, he said, "The best thing you can do for our city is to take in a Broadway show." The sight of all those actors singing their hearts out in Times Square told the world New York could not be broken. That last line – delivered by Nathan Lane – was a very important message to the world. Just three weeks after the attack, Mayor Giuliani appeared on the season opener of Saturday Night Live. He called SNL a New York institution and said having the city's institutions up and running sends a message that New York is open for business. The city's convention and visitor's bureau started running print ads saying New York was "Stronger Than Ever." Next, advertising agency BBDO offered to write and produce six television commercials – worth more than $10 million – for no charge – in less than a month. Music companies, film crews and editors all offered their services for free. The campaign featured well-known New York celebrities – who also donated their time. First, the city began to enjoy what has been termed "patriotic tourism." Fellow Americans started showing their support by visiting New York again. It would take two years of marketing to attract international tourism back again. The turning point was 2003 – New York saw its first spike in tourists – 38 million people visited. Then in 2010, a record 48 million people came. Last year - 17 years after the worst terrorist tragedy on American soil - over 60 million people visited New York City. It was the eighth consecutive year of record tourism.